Rated 5 out of 5 by Jomi6 from Love it! Have only just started using this product and I am very impressed. Goes on well and the brush is just right for “smudging” it on lower eye. Rated 3 out of 5 by Sylwia from Not quite what I hoped for If I was reviewing the colour only it'd be 5*. Love it! But I agree with one of the previous customers that this eye pencil doesn't stay long. It's also quite hard, perhaps it's just me. I suppose it all depends on individual preferences. I once tried the waterproof eye liner pencil at a shop and definitely liked its consistency. Maybe Clarins can consider adding the Intense blue to this line of eye products? Rated 5 out of 5 by Kajd from Best eyeliner ever Goes on perfectly and doesn't drag. 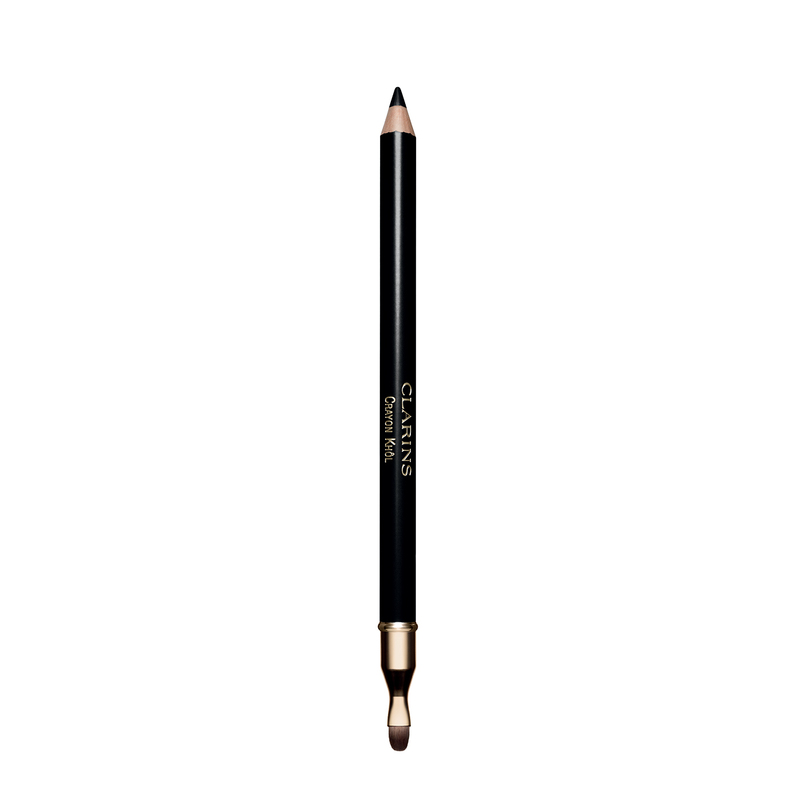 Brush feature allows you to smudge liner perfectly without hassle. Rated 5 out of 5 by Orchidhouse from Thick Khol I've been using khol for more than 30 years, so I know my stuff. This pencil is great. It applies a thick but clean layer and you can smudge it with the brush tip. It lasts all day. Rated 2 out of 5 by JoDa from Crayon Khol This khol is great if you have sensitive eyes or wear contact lens as it doesn't aggravate them. However, staying power isn't brilliant and I have to reapply every couple of hours.